The internet and your business future should be a major consideration for both start-ups and established companies. Having an online presence should not only boost the sales of your products or services but can also help the smaller companies keep up with larger competitors. In only a few years the net has revolutionised the way that businesses operate. Consumers have never had so much choice thanks to online shopping, but for businesses this also means more competition. 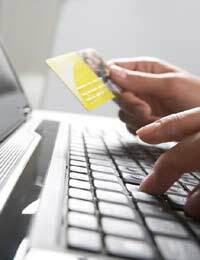 Businesses do have the opportunity to reach a much wider target audience via their computer, and there looks to be no decline in the use of home shopping. Practically every business you can think of will have a website where you can browse and purchase products. Today’s generation are now more than comfortable buying and paying for goods and services using computers, and Britain has the world’s second highest amount of active virtual shoppers. Internet shopping has increased by 40% in the last couple of years, and businesses should be taking this figure seriously. Establishing an internet presence is inexpensive but can bring rewards in terms of increased consumers and increased profits. The first point of call for most consumers who are interested in a product or service is to check the company’s website. Not having a website can instantly lose the interest of the consumer. Start-ups and established companies should thoroughly research the benefits and feasibility of implementing their own website. Establishing an internet presence is inexpensive if the long term view is taken. This is an investment that can have a positive impact on a business’s profits. Company websites are the “shop window” for consumers but they also allow consumers to buy and have their goods delivered. Professional websites can cost thousands but they should be looked on as a long-term investment. If a company has a well produced interactive website they are more likely to see repeat custom from their users. There are traders that run businesses solely using computers, and the media are awash with tales of dot com millionaires. By having an online company you can drastically cut your expenses. A laptop and the right software are all the basic tools you need to start your own company on the web. There is no need for staff, premises, or the overhead expenses that go along with running an actual business. In terms of cost it is one of the cheapest ways to run your own company and make a profit. Small businesses are also able to play on a level playing field with their larger competitors by utilising the internet’s capabilities. The internet and home shopping looks set to increase over the next few years. As the technology becomes more sophisticated and user friendly it seems there is no stopping this tool as either a primary or secondary way to conduct business. Around 60% of online shoppers pay for items upfront with their credit cards, making transactions quicker and more efficient. If a company does not utilise the internet as the important tool that it is they will miss out when it comes to customers and profits. The capabilities of the internet for businesses should not be underestimated. Establishing a presence on the World Wide Web is inexpensive and can reap big rewards in terms of customers and profits. For a small investment a company can increase their consumer base greatly in a very short space of time. Researching the benefits of the internet should be one of the first tasks for any new company.